Two people. One conspiracy. Everything to lose. When Alison Gregorio lands a cushy administrative job in a law office, she knows her big paycheck comes with strings attached. She expects long hours and unreasonable demands. She doesn’t expect to be dodging assassins before she gets her first raise–but that’s exactly what happens. She survives by the skin of her teeth and runs for her life. 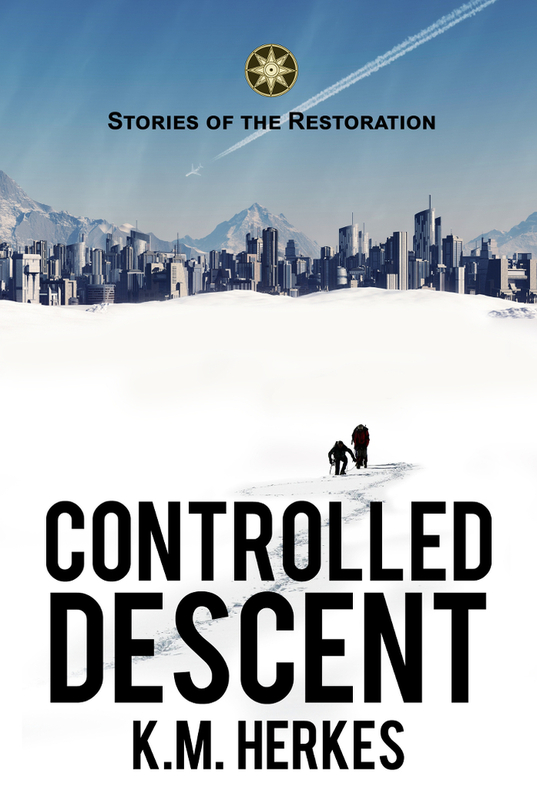 Survival is one of inventor Justin Wyatt’s many talents, but staying alive is only the first challenge he faces after sabotage leaves him stranded in a frozen wasteland. The bigger problem: identifying which of his enemies to blame. The list of people who want to kill him is a long one, and the one person who holds the key to the mystery doesn’t even know he is still alive. Once fate brings Alison to Justin’s doorstep, there’s no turning back. Either they unravel the tangle of corporate conspiracies and personal vendettas that brought them together, or their common foe will destroy them both. Forty-two years have passed since the Restored United States emerged in shining glory from decades of social chaos and a bloody second Revolution. The future may look bright, but some things never change. Money still talks, power still corrupts, and trust is a rare and precious commodity.